The Fine Arts Center an amazing modern art collection! 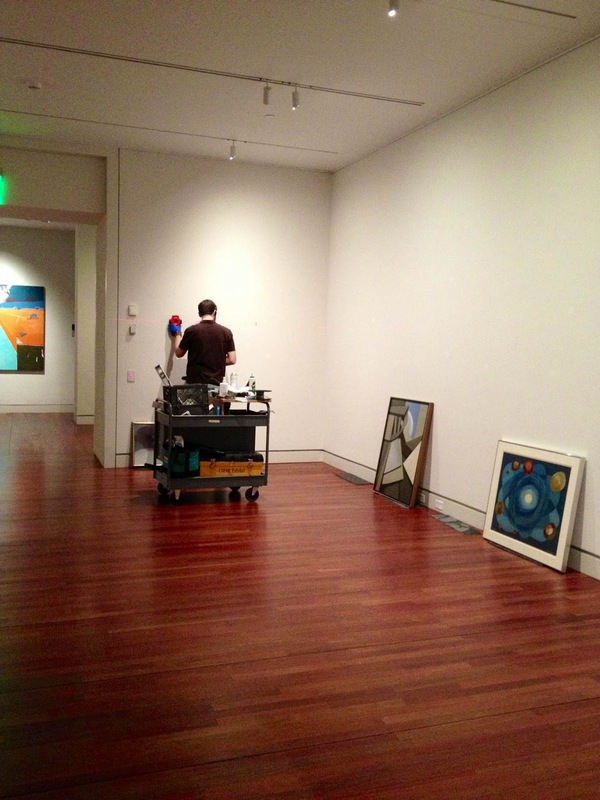 The FAC has been hard at work installing pieces from the Permanent Collection. Horns. On right: Kay Sage's Afterwards and Oskar Fischinger's Molecular Study #2. Works by Arthur Dove, Georgia O'Keeffe and Milton Avery help make up this exhibition of Modern Art pieces from the permanent collection. 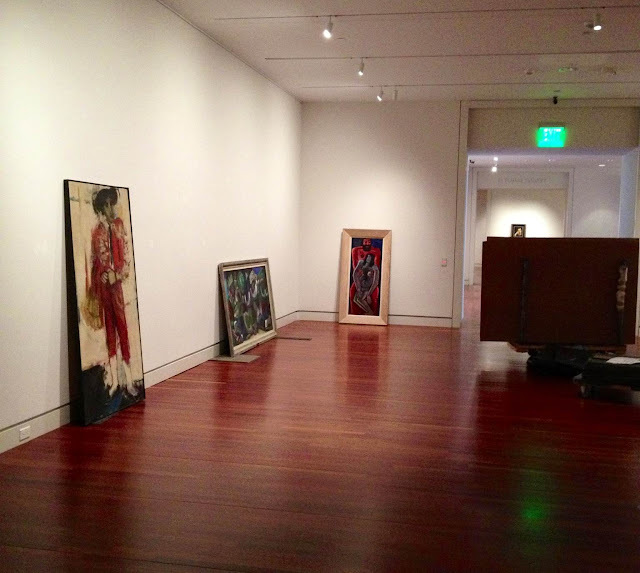 The display features multiple works from the first half of the 20th century by mostly American artists. Installation in progress. Left to right: Grace Hartigan's The Matador; Jean Charlot's The Malinches, Mexican Children's Folk Dance; Marsden Hartley's Christ Evicted. Other highlights include Inspiration by Marc Chagall and Christ Evicted by Marsden Hartley. Make sure to come check out these fantastic modern art pieces along with Charles Bunnell: Rocky Mountain Modern!